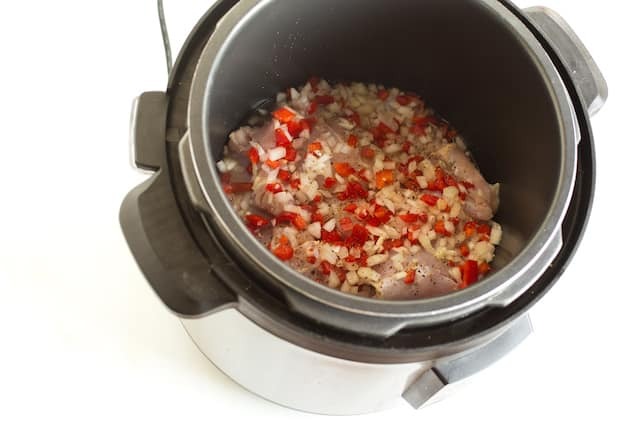 Pressure Cooker (Instant Pot) Chicken Recipe | Good. Food. Stories. My life fluctuates between the acceptance of delayed pleasure and the need for instant gratification. Handcrafted clogs custom-made for each order? Yeah, I’ll begrudingly wait a month to get a pair that I know are mine and mine alone. But the excruciating five-minute wait for a Shake Shack burger? I have been known to frantically scroll through my entire Instagram feed at the table to take my mind off the fact that my buzzer hasn’t yet skittered to life (even though that’s probably the hunger talking). 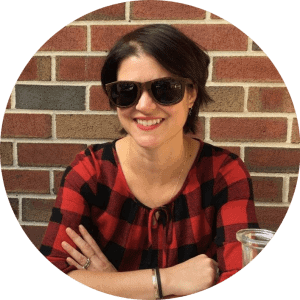 As my soul sister Sally Albright once said, “Well, I just want it the way I want it.” To that I’ll add, I want it when I want it, and pressure cooking gives me all the pleasure of flavorful, slow-simmered food without all the waaaaaaiting. Stop right there. Don’t let those words leave your mouth. 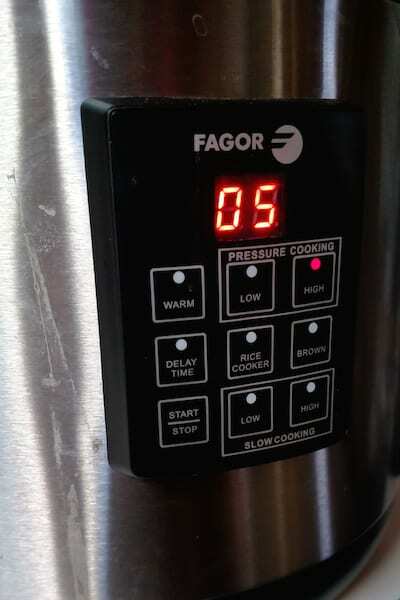 I will tell you right now that if you can program a slow cooker, you can also use a pressure cooker—most frequently known these days by the Instant Pot brand name. You’re a modern cook! You’re not living in the Victorian era, for pete’s sake, and there’s no reason to futz with one of those banging, clanging stovetop relics. Unlike those old models, which promised low-maintenance cooking but really were frighteningly high-maintenance, the Instant Pot and its ilk go for multitasking mastery, combining the functionality of slow cookers and pressure cookers in one plug-in, set-it-and-forget it package. I would call them two-in-ones, but really, they’re so much more: depending on which model you buy, you might also have preset options to brown, steam, cook rice, incubate yogurt, and more, in addition to the basic high/low/warm functions for both pressure and slow cooking. And every single one of these functions has a very familiar setup: add ingredients, close the lid, set the high/low temperature for X amount of time, and walk away while it does its thing. For most people, the selling point for these combo cookers is the idea that you can pressure-cook entire meals—everything from beef stew to risotto to tender baby back ribs—in only an hour’s time. I’ve done this, and it really does work as well as advertised. Pretty much anything you’re waiting to cook for 6 hours in a slow cooker could be done in a fraction of the time in a pressure cooker. However, with all my recipe development work, we’re not really hurting for making big-batch meals on a regular basis. What we do need in this house is quick and basic fixes for those desperation moments when I’m not cooking for work and the fridge is scary empty. And because of that, I most frequently use mine to batch-cook basic ingredients and versatile elements that I can eat immediately or freeze in single-serving portions to throw into meals as needed. This is where the pressure cooker really earns its keep in my appliance arsenal, far beyond what a slow cooker or rice cooker alone could accomplish. Or, because I know deep down that if I must eat rice, I should be eating brown rice, I can pressure-cook it in the same time it would take to do a quick cup of white rice on the stove. Same goes for hearty whole grains like wheat berries or farro—healthy meals ahoy! Yes, this is all totally doable even if your electric pressure cooker model doesn’t have the specific rice function. The chicken recipe that follows below is supremely adaptable and versatile; switch out the red pepper and green chiles for a few tablespoons minced or sliced ginger and maybe a few scallions for fun, and you have an Asian version that’s ready for adding to a soba noodle bowl. Or if you need plain old chicken, take all those aromatics out of the equation entirely for a blank slate. Try out this chicken as a starter recipe and see how simple electric pressure cookers like the Instant Pot can be. Just remember that at the end of the cooking process, the pressure cooker will have to let out all the steam that builds up inside the machine. This is the part that usually scares everyone off, but it’s truly no big deal—it can be accomplished with the flick of a switch, and the cooker self-modulates. It just sounds and looks scary because there’s a lot of steam! My extremely high-tech video will prepare you for the moment—and yes, I put mine on the kitchen floor, directly under the fan, to mitigate the escaping steam. Pour the broth into the pressure cooker and add the remaining ingredients. Close the lid of the pressure cooker—making sure it clicks to seal—and set it for 10 minutes on high pressure. Release the pressure on the slow cooker and when the lid unlocks, open carefully as there might be a residual bit of steam remaining inside. The chicken gives off a fair bit of liquid as it cooks, so you’ll notice that things inside the pressure cooker are a lot soupier than you left them. Lift the chicken out of the broth and transfer to a bowl until cool enough to handle. Strain the broth and save the vegetables to mix with the chicken, if desired. 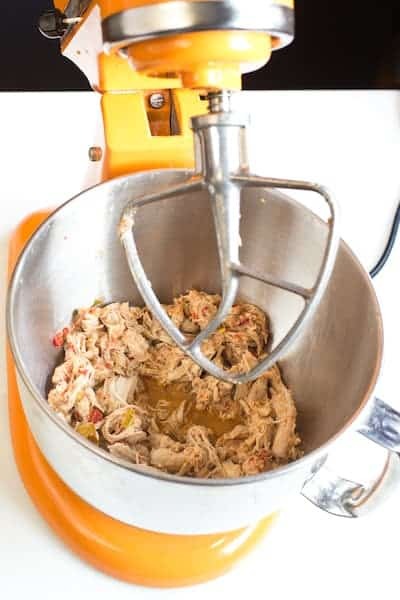 Shred the chicken, either by hand or with (my personal favorite) a stand mixer. Place the chicken and the vegetables, if using, in the bowl of a mixer fitted with the paddle attachment. Mix on low speed and watch the paddle shred the chicken automatically. It really works, I swear. Divide the chicken into meal-size portions as appropriate for your needs and freeze until ready to use. Thaw in the refrigerator overnight before reheating on the stovetop or adding to soups, enchilada or burrito fillings, or whatever magical meal you have planned.